With the drop in oil prices my assumption is the current demand for welders has largely disappearing and likely switch to greater supply than demand. Another typical Boom and Bust cycle in the oil business. 200K/year for specialty welding eh? 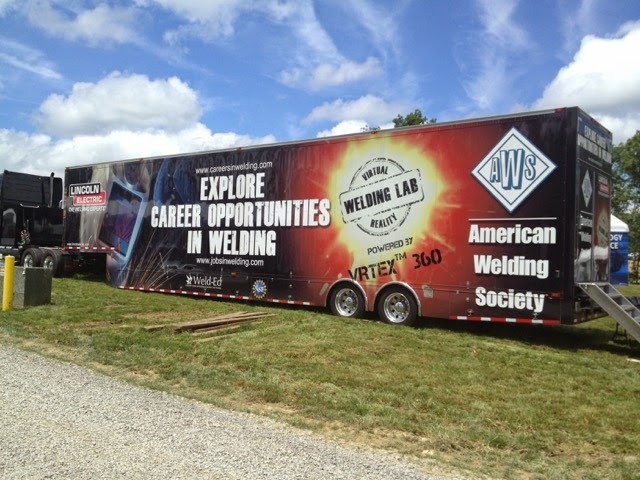 How many welding certifications could you get in the space it takes to do a chem PhD? 1. A crapton of overtime. 2. Working (as Anon1221p says) in dangerous environments. Is saying "some welders make 200k" sort of like saying "some chemists make 200k?" That's fair. Still, I wonder what the opportunity cost comparison between chemistry PhD and welding would like if someone did it. Well yes, but the trick is filling in those values and, I think equally importantly, getting some sense of the possible variance in the possible PhD salary (could be 100k if you work for DuPont, could be 50k for a smaller company). The ACS Salary Survey would get you what you want (or at least some values to work with.) Are you an ACS member? If so, the ACS Salary Comparator can get you really granular data that needs to be taken with a couple three grains of salt. Underwater welding is a death wish. I'd rather work my (reasonably fun, challenging) chemistry job at 50/hr than risk dying daily for $100/hr. I'd have to agree with anonymous 10:51AM. And note that even $30/hr is $60K/yr without overtime.